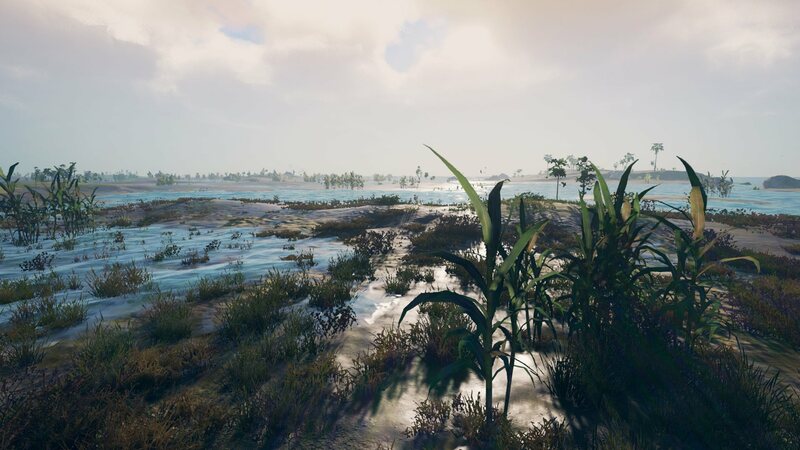 Survisland is a survival sandbox focused on Realism, located in a vast procedural generated world. Taste every bitter and sweet as a lone man lost in wild islands, use your wit and strength to confront every challenge Nature gives you. Sunrise, sunset, changing of clouds and raining, the weather and nature cycling is not only for visual satisfaction. They actually affect you, just like real life surviving, nature is always the most formidable foe. Nature has its inner patterns to control the weather; you can learn and use it to benefit yourself. You can stand in shadows or in water to avoid the heat of a summer’s afternoon, start a campfire to keep warm in the cold night, detect the direction of the wind from your campfire smoke, hide from strong winds behind a rock, avoiding rain under a tree. We made a very detailed metabolism system to simulate real-life human beings. Your body is built up with muscles, fat, bones, blood and water. All your actions will cost calories, and the stuff you eat can only be useful after you digested them! Wearing clothes can always provide warmth and also some protection from the environment. Some prevent you to get wet when raining; some keep you warm in strong winds. You should wear the suitable gears; eat various foods to keep your stats balanced! We made a very deep and complex item system: each item has its own size, weight, species, hardness, toughness, quality, portability and functions. These properties determine the size an item will occupy when you put it into a storage; is the item too heavy for you to carry; how will this item perform in a combat; how can I carry it, with one hand or two; where can I equip this item, as a shirt or belt etc. The item system is the heart of our simulation of real life, anything you can think of can be made into an item and you can see it acts in our game with the functions you’d expect in real life! Now there are more than fifteen functions we have made in the system, more will be added along the way to bring you a more realistic game world. 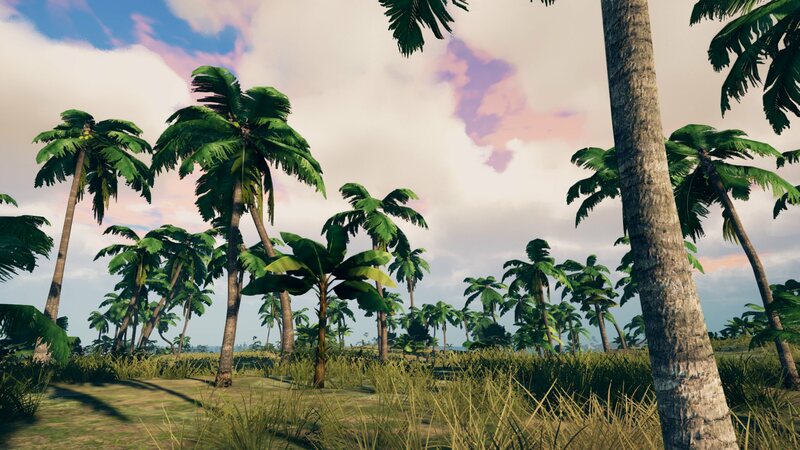 Infinite Open WorldThe game world of Survisland is procedurally generated. It’s infinite, ever-changing and beautiful. 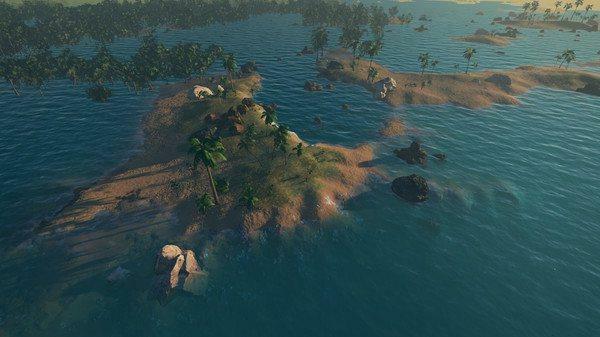 The area of an island is usually vast, but you can also find groups of small islands scattered across shallows. 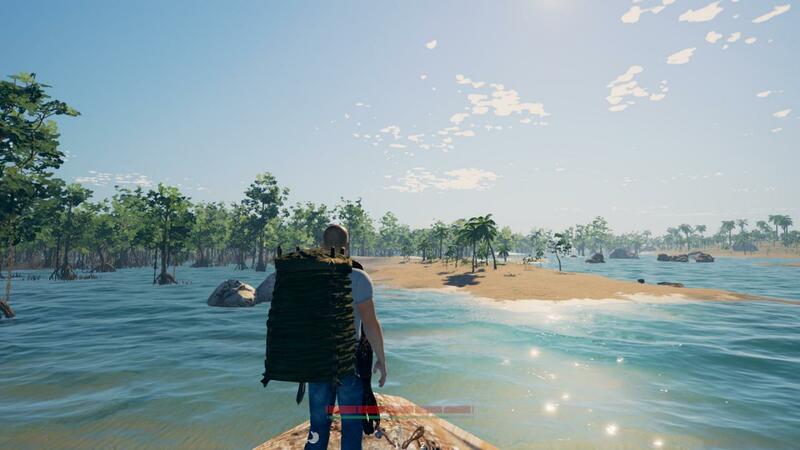 We have designed three different biomes in current version: The Shallows, Mangrove Forest and The Swamp. Each has its own unique landscape, vegetation, resources and sub-biomes. You’ll have to alter your strategy to survive in different biomes.A Living NatureSunrise, sunset, changing of clouds and raining, the weather and nature cycling is not only for visual satisfactions. They actually affects you, just like real life surviving, the nature is always the most formidable foe. The nature has its inner patterns to control the weather; you can learn and use it to benefit yourself. You can stand in shadows or in water to avoid the heat of a summer’s afternoon, start a campfire to keep warm in cold night, detect the direction of the wind from your campfire smoke, hide from strong winds behind a rock, avoiding rain under a tree.The plants in Survisland also will bear fruits overtime in the right seasons; you can directly pick them up or hit a fruiting tree with a rock to shake some off. Cutting the whole tree down can get all the fruits immediately, but you also will lose a fruit source in long terms.Fully Detailed Metabolism SystemWe made a very detailed metabolism system to simulate real life human beings.Your body is built up with muscles, fat, bones, blood and water. All your actions will cost calories, and the stuff you eat can only be useful after you digested them!Surviving is not only about keeping hungry and thirsty levels at bay, but to keep nutrition in balance, you’ll have to find various foods to achieve this. Once your body is unbalanced, there will be a symptom as corresponding to it. Some symptoms are harmless, only act as a notification, such like Empty Stomach. Some will reduce your body functions: getting Cold will reduce the stamina regenerate speed and cost more calories. The worst symptoms will reduce your health: Starving, Dehydration, Freeze, Suffocating…Wearing clothes can always provide warmth and also some protections from environment. Some prevents you to get wet when raining; some keep you warm in strong winds. You should wear the suitable gears; eat various foods to keep your stats balanced!Realistic ItemsWe made a very deep and complex item system: each item has its own size, weight, species, hardness, toughness, quality, portability and functions. These properties determine the size an item will occupy when you put it into a storage; is the item too heavy for you to carry; how will this item perform in a combat; how can I carry it, with one hand or two; where can I equip this item, as a shirt or belt etc. 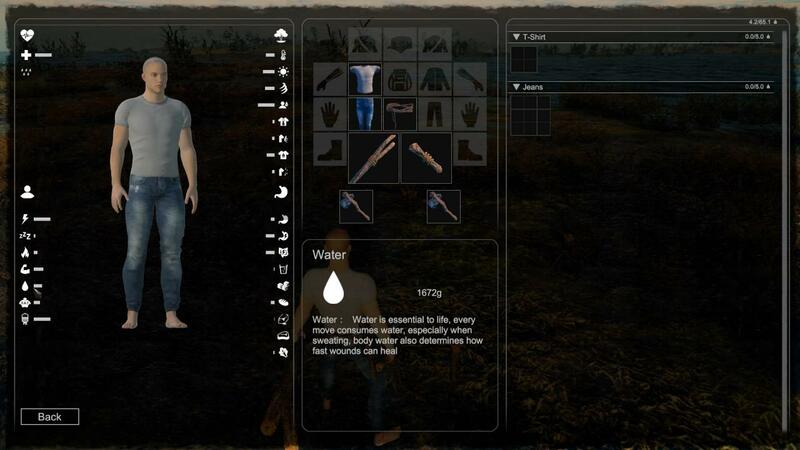 Item system is the heart of our simulation of real life, anything you can think of can be made into an item and you can see it acts in our game with the functions you’d expect in real life!Now there are more than fifteen functions we have made in the system, more will added along the way to bring you a more realistic game world.Unique Crafting SystemSurvisland has a unique crafting system. Some items have one or several Crafting Nodes, it indicates different parts of an item that can be crafted. You’ll need to use various Crafting Techniques to process these parts. 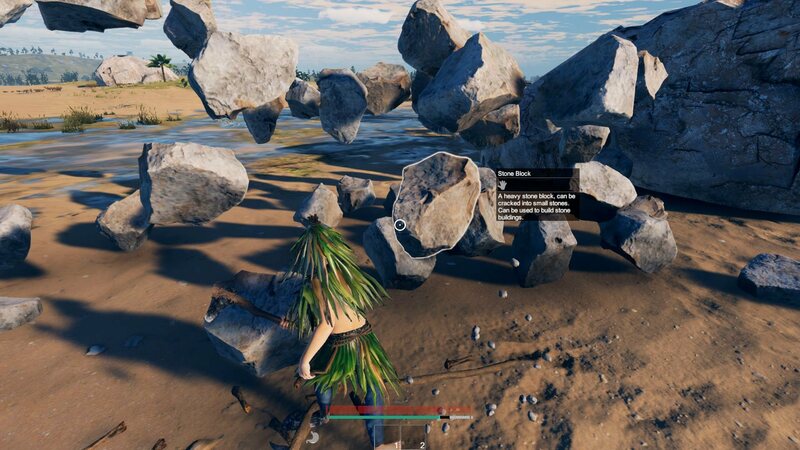 Which Crafting Techniques you can use is determined by the items on your hands, certain techniques require specific tools in hands.This Node Based Crafting system will cover all the common crafting in the field. But you can also find use workbenches to combine items. Workbenches can be found in wild as a wide tree stump or a flat rock.Build Whatever You WantFrom a simple leaf tent to a huge stone fortress, you can build anything you want with our flexible Building System. You’ll have to craft three types of building marks: Foundation mark, Support mark and Surface mark, to start building. Each mark represents a specific building part and you can upgrade these marks to actual buildings.Buildings can protect you from the most violent weather but cost a lot of efforts, choose a fine place to settle down!